Welcome to Cheerico Cupcake Supplies! The transparent styling allows allow the frosted tops and decorative touches on your macarons to peek through, even when the box is closed. Box Measures: 9cm x 5.5cm x 5.5cm. Fits: Macaroon with diammeter 5cm. 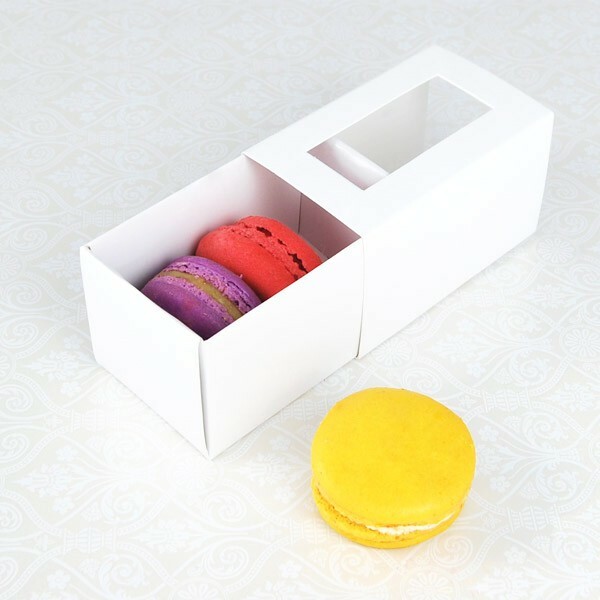 Our square acetate "windows" allow the frosted tops and decorative touches on your 3 macaroons to peek through, even when the box is closed. . Easy folding assembly; great for gifts and favors as well. Boxes come flat, easy to assemble!